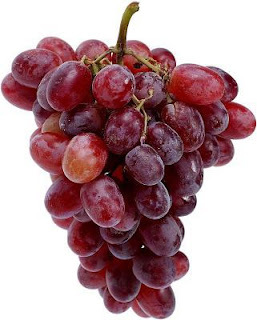 Grape seed extract is known for its antioxidant properties and is used to treat a number of medical conditions, including heart disease, cancer and diabetes. Most of the studies on grape seed extract have been performed on animals. There is some evidence to support grape seed extract as a hair loss agent based on studies involving laboratory mice, but grape seed extract is not approved for hair loss by the U.S. Food and Drug Administration. Grape seed extract is typically made from the seeds of wine grapes. Grape seeds contain high amounts of oligomeric proanthocyanidin complexes, flavonoids, Vitamin E and linoleic acid. The primary benefit of grape seed extract is its ability to prevent free radicals from damaging cells. Grape seed extract became popular in the 1970s due to what became known as the French Paradox, which studied the low percentage of heart disease in relation to high fat diets. The French ate a high fat diet but had low heart disease rates and credit was attributed to their daily wine consumption. Little research has been done on grape seed extract as a hair loss treatment but there is some evidence to support the claim. One study performed by Tsukuba Research Laboratories that appeared in the November 1998 issue of the Swedish journal Acta Derm Venereol concluded that the proanthocyanidins extracted from grape seeds yielded an increase in the proliferation of hair follicle cells in mice. The study also concluded the proanthocyanidins quickened the transition of the resting phase to the growing in the hair growth cycle. Grape seed extract comes in capsule and tablet forms and the University of Maryland Medical Center recommends you look for pills that are standardized to 40 to 80 percent proanthocyanidins or that posses greater than 95 percent oligomeric proanthocyanidin complex. Recommended doses will range from 75 to 450 mg per day and grape seed extract is considered safe for periods of two to three months as long as the recommended doses are followed. Grape seed extract has not been studied by the FDA for safety or effectiveness, so all potential side effects may not be known. Reported side effects include nausea, dizziness, high blood pressure and headaches. Grape seed extract should not be used by people taking blood thinners. Grape seed extract should not be taken by children or by women who are pregnant or breastfeeding. As with all medications or supplements, speak to your physician before beginning any new treatment.